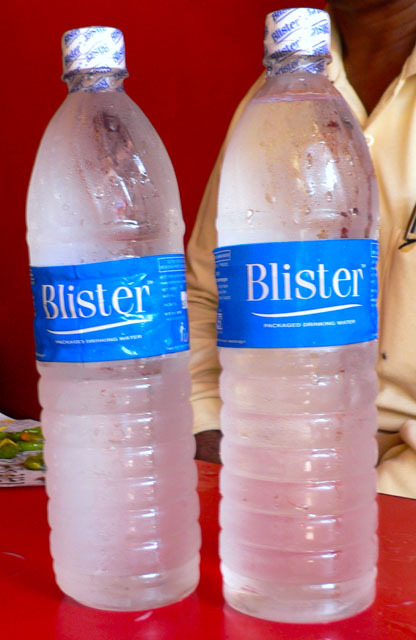 In India, the brand Bisleri is synonymous with mineral water. I was offered this “Bisleri” on my last trip to Nandurbar. Of all the wannabe Bisleris this one, Blister, takes the cake. This entry was posted in Travel Quirks. Bookmark the permalink.